This machine is used to repair and trim the roadway roof, ground and the rib by breaking, cutting in the underground coal mine. The working boom can turn ±180,with actions of digging, overturning, loading, as well as lifting to realize the functions of digging, dinting, rock breaking, cleaning the float coal, trimming the roadway as well as the transportation of the parts. 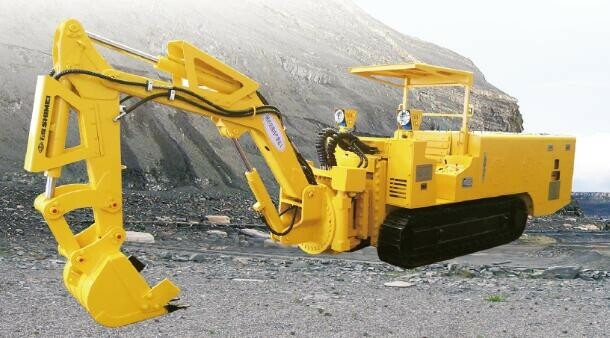 WPZ-55/400 can be equipped with scraper conveyor, breaking hammer, roof bolters as well as anchor cutter, the digging, breaking, roof bolting and anchor cutting can be achieved by only one machine. The bucket can be replaced by a hammer to make breaking. The machine height has 2 choices to meet different request. 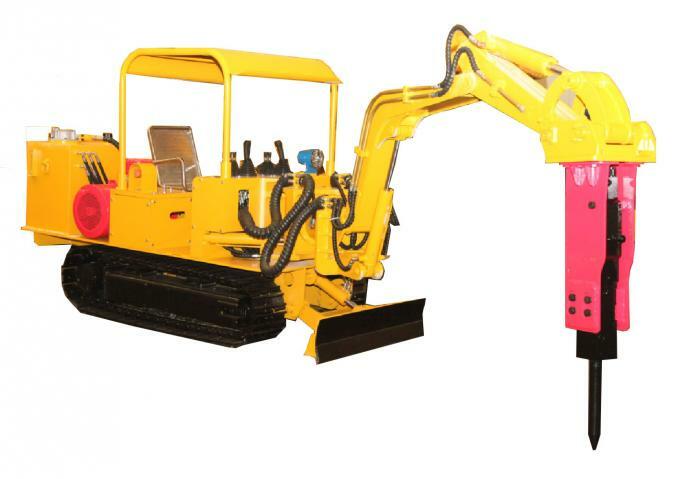 The mature technology of surface excavator is applied to the machine,it make the machine has a big working range and high efficiency. The working boom can turn ±180°,so it can draw out the coal under the belt conveyor. The bucket can be replaced by a basket to raise the worker to some height. Company's name: Shijiazhuang Coal Mining Machinery Co., Ltd.
Company's address: 167 Yuxiang Street, Shijiazhuang, China.